Convenient and Country. 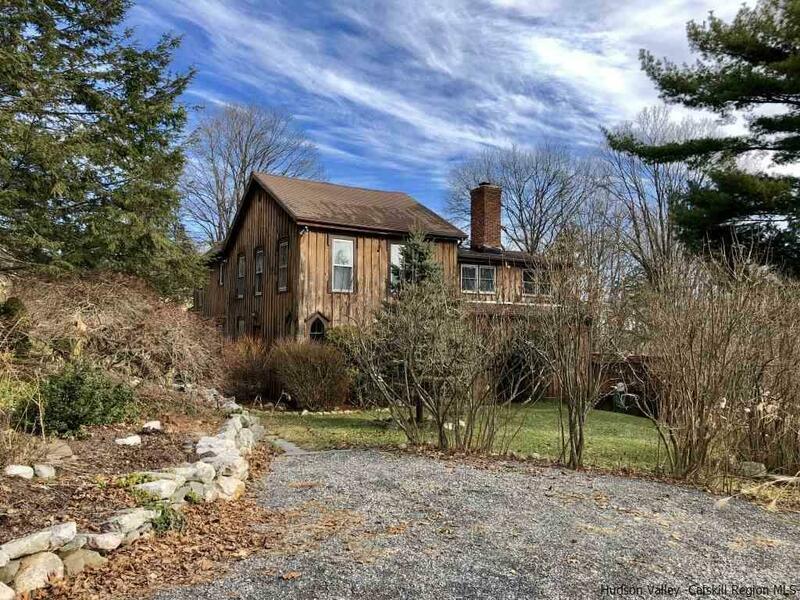 Nestled under the Ridge you will find this charming, pristine Getaway, minutes to Mohonk and located on one of the prettiest country roads with access to the new River to Ridge trail that takes you over the meadows and through the woods from New Paltz to the Mohonk Preserve. The R-to-R trail is the newest jewel in the crown for New Paltz: offering biking, walking and running opportunities just minutes away. Entertain family and friends on the expansive decking overlooking your 21-acre private park with in-ground pool. Relax in the living room in front of the stone fireplace, cook for a crowd or have a party in the oversized dining room and family room. Wood floors through out the living area and bedrooms plus tiled floors in the bathrooms, dining and kitchen area, two staircases, tons of closets, . Lots of improvements including new High Efficiency HVAC-Central AC, new windows, new lights, new commercial grade pool cover, new gutters and freshly painted with beautiful custom woodwork throughout. Location is amazing: Just a mile to the Village of New Paltz with its multitude of shops, restaurants, boutiques and galleries and down the road from Mohonk Preserve access, for hiking, biking and enjoying all the natural beauty of the area. The perfect Country Retreat.